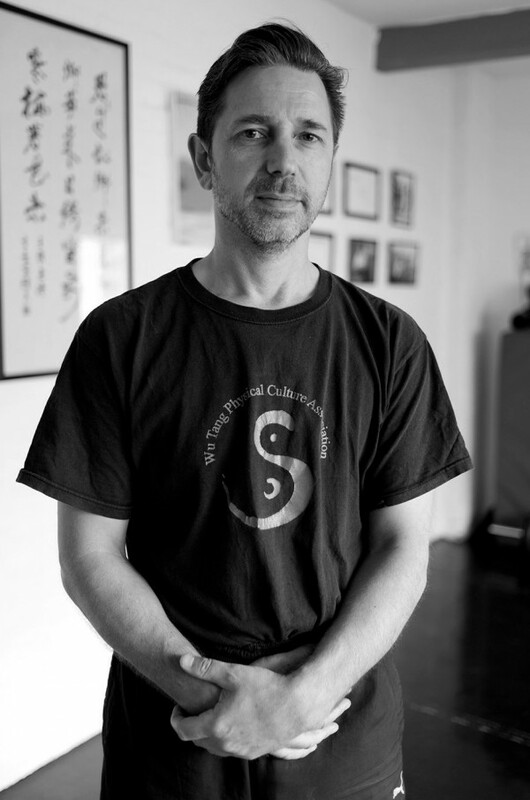 Turn right off Brick Lane into a narrow courtyard and there, in a long gallery above an old stable, you will find Chris Chappell, the Spitalfields Master of Taoism. Blessed with a sinuous grace in his movement, Chris appears possessed with a spirit of another world – as his bright eyes glisten and his limbs take on a directed life of their own – advancing step by step across the floor with superlative control like a warrior expecting ambush in a dark forest. 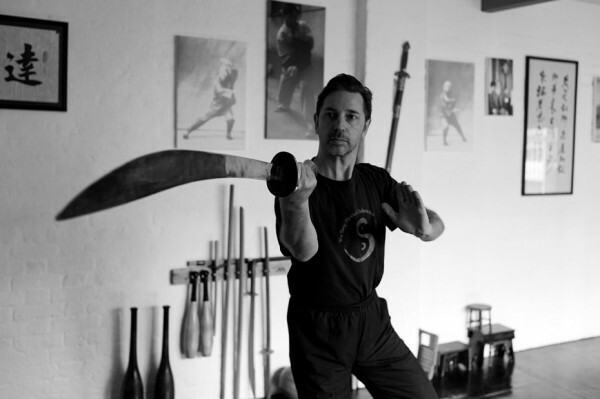 He is a harbinger from ancient China, carrying age-old techniques of movement and physical control into the modern world, and teaching them to Londoners today as a means to overcome injury and ameliorate stress, and tackle the demons of contemporary life. Slight of statue and with a gentle yet purposeful manner, Chris is a creature who exists in his stealthy movement. 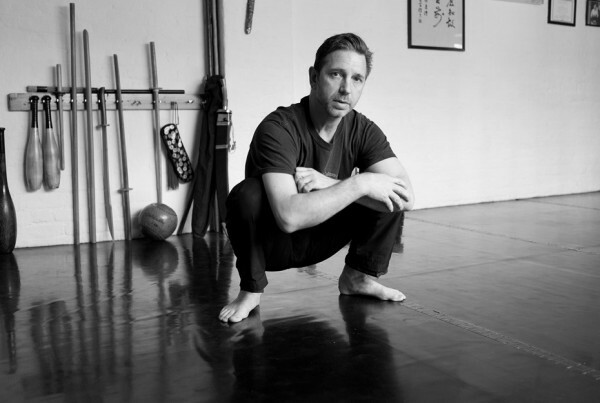 He teaches Tai Chi – not that slow moves-in-the-park variety but something swifter and more directed to a purpose. Travelling back and forth to China where he learns from his master Ma Bao Guo, Chris has conjured the atmosphere of the ‘hutong’ in his Spitalfields yard and, once you enter the sanctum of the long gallery, you find yourself in a charged space. Here, where the clamor of Brick Lane recedes, Chris told me his story. “I’m from Durham originally but I came to London to the Ballet Rambert School in 1981 and I acquired a flat in Dalston - and I’ve been in the East End ever since. My first experience of Tai Chi was when I came out of ballet school. A lot of dancers force their bodies to perform in certain ways and they fall apart, but I got so much benefit from Tai Chi – it helped me in my professional work , it fulfilled something that I didn’t get from ballet and it led me in a different direction. I came to Spitalfields in 1995 when I opened my first studio. It was a Tai Chi and Chigung studio in an underground part of the old market that’s been demolished now – a hundred yards from where they found the Roman cemetery, so there was me and two thousand dead bodies. Formerly, I was a professional dancer and kickboxer, and I decided to take the plunge and I got this space close to the City. I didn’t realise that the area was famous for it, that Daniel Mendoza had his boxing gym in Aldgate East in the nineteenth century and that mine was in the same spirit, of a private gym for one-to-one tuition. It was my first shot at being self-employed and I used to chain my signboard to a lamppost in Bishopsgate close to where RBS is now, in the hope of drawing custom – I did it in the belief that if I built it they would come. Until then, I had only been teaching kickboxing in a room in my flat. It was slow at first, but it caught on yet it wasn’t how I envisaged, my clients included City people, artists and housewives – and they came from all over, as far away as Stirling in Scotland. I like the challenge of working with people who want to realise and refine what they do, using a method that engages body and mind at the same time. I do a lot of work rehabilitating people after illness or injury. My work uses medieval Chinese folk practices which have passed down through generations. 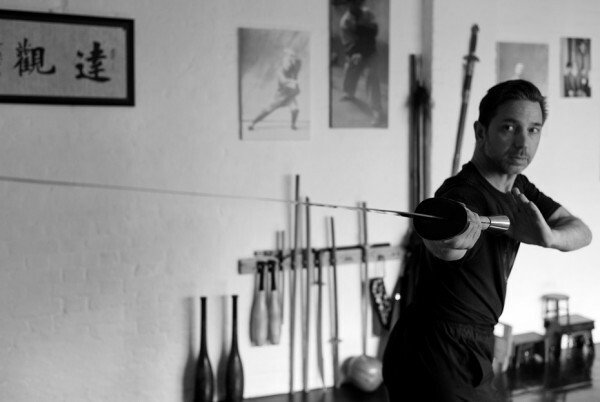 ‘Chigung’ was a term coined in 1956 as a catch-all to include all kinds of therapeutic exercise, body control and martial arts. I am a disciple of Master Ma Bao Guo of Zhengzhou in Henan Province, China. 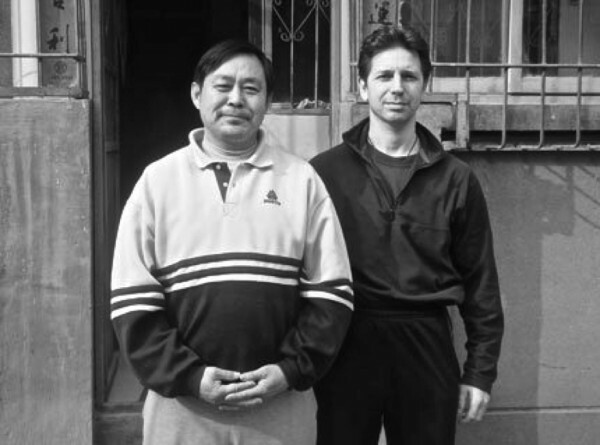 He is a classical Master of Chen style Tai Chi Chuan and Hsing-I-Chuan. I met him in 2005 when his son was studying at Newcastle University. He was like a throwback to the early twentieth century. 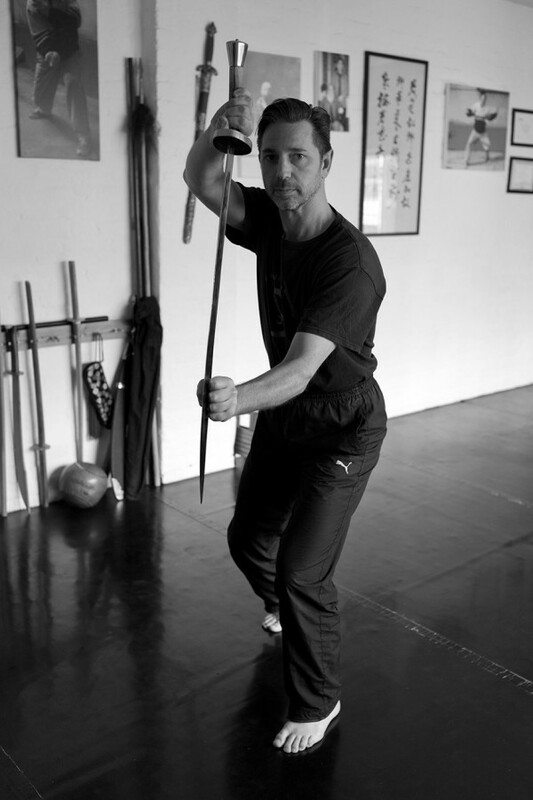 He’s of the high performance ilk and I have a strong connection with him because of the nature of his style of movement. He has a strong internal power. 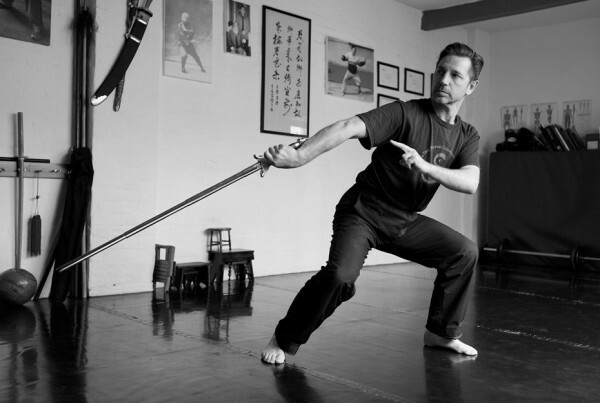 I am also the first disciple of Master Frank Allen of the infamous Wu tang Physical Culture Association of New York City in the Lineage of Cheng Ba Gua Zhang of Grandmaster Lui Jing Ru of Beijing. 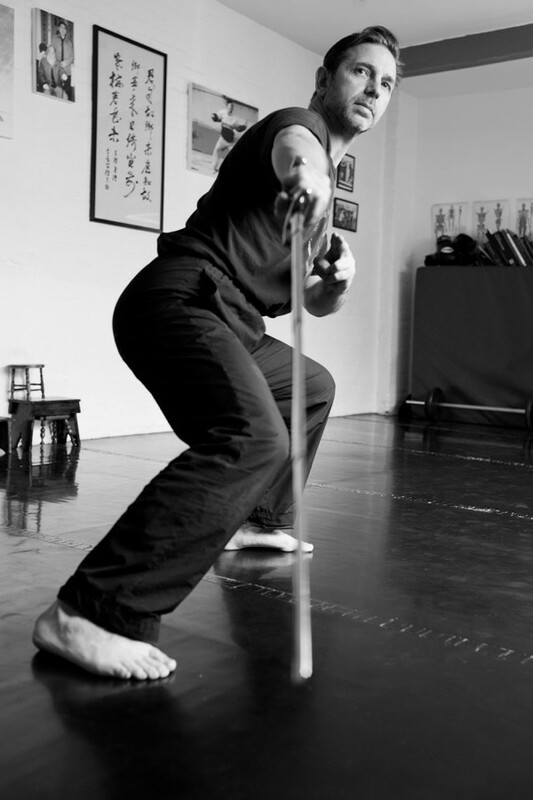 Ba Gua Zhang’s foundation is a circle-walking practice. Lovely to see my dear old friend Chris on spitalfieldslife. The most placid of men, but I am sure could kill you with just a flutter of his eyelashes! Just a humble thought….Peace and love guys! You popped into my mind the other day. So hoping that you are the Chris Chappell I met many moons ago with Andrew Golightly. We worked on a play I’d written, or something like that. It would be great to hear from you, and of your life’s journey since we last met.